From this week’s series on costumes for young girls. 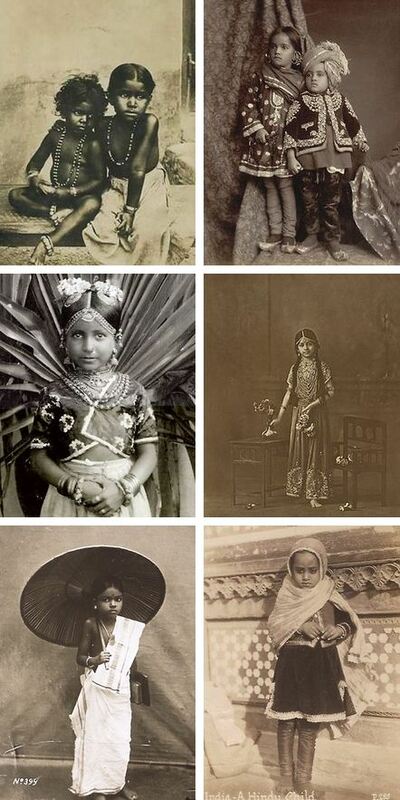 This entry was posted in 1920s, 1930s, 1940s, 1950s, Children, Costume, Early 20th Century, Education, Girls, Indian Dress, Tumblr and tagged children, chudidar kurta, Costume, dress, ghaghra, girls, india, mumdu, pavadai, sari, vintage. Bookmark the permalink. There is so much beauty and dignity in all those children, whatever the social class or the richness/simplicity of their attire. Yes so true. I like doing sets for this reason, for the commonality across class/region/decade.